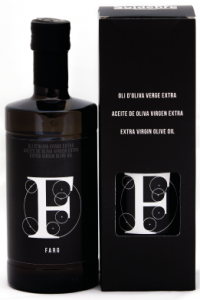 OliSoldebre 100% Farg AUREUM extra virgin olive oil (EVOO), which is monovarietal oil with PDO, is obtained from the best farg olives groves that have been cultivated in the Baix Ebre and Montsià districts. 100% Farg Aureum extra virgin olive oil is a delicious olive juice with PDO that has been made with the variety of farg olive. 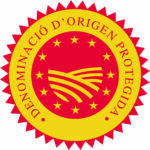 We have a full-time care and a strict control during the 100% Farg Aureum extra virgin olive oil production process: from the olive-growing and the collection of it to its arrival and the elaboration process of the olive oil. Thus, we get a final product with excellent organoleptic conditions. 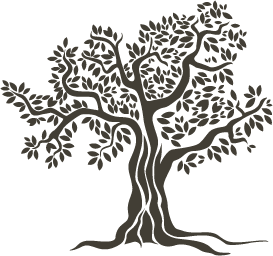 The farg olives are picked directly from the tree or harvested mechanically just at the right moment of ripening. 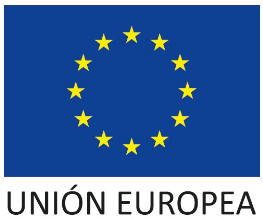 Thereby, the resulting oil is not affected and maintains all its antioxidants and vitamins. It is a highly complex oil. It has a fruity flavor from the fresh green olives and a sweet taste in mouth. 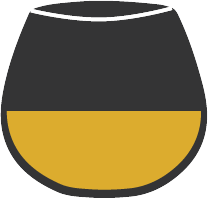 It is bitter and with a medium-intense spicy flavour and a little touch of astringency. It has a green apple and green plantain aromas and also the scent of freshly cut grass. It is perfect for artichokes and white cheese.